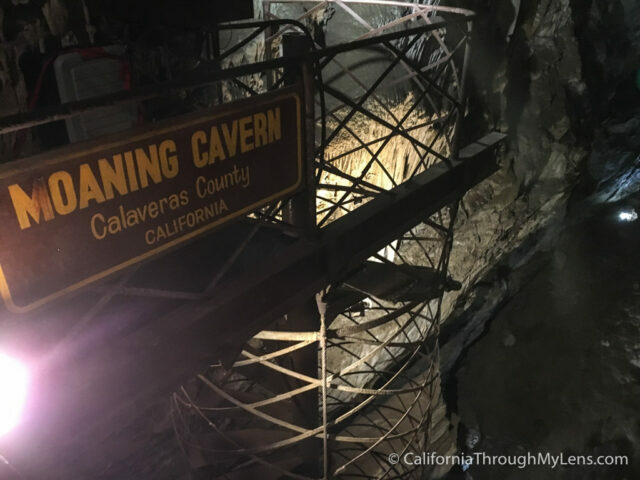 Ever since I started this blog I have always wanted to visit the unique chimney cave called Moaning Cavern that you can actually rappel into. 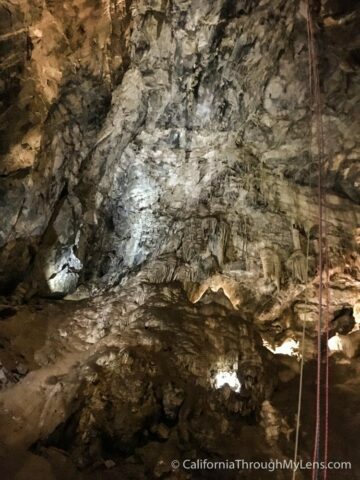 This cave is one of only a few like this in the United States, and it is one of the longest rappels into a cave in the entire country. It is not an experience that you are able to do very often and something that you will be telling your friends about for months. Here is all the info (sorry the photos are all with an iPhone). 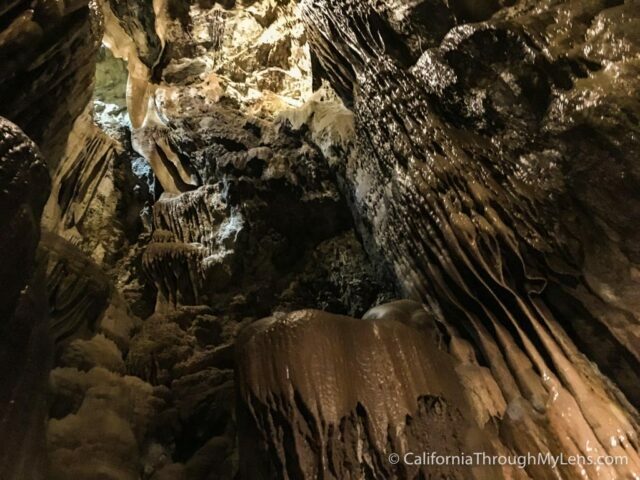 This spot is pretty far from a lot of the major cities, but you could day trip to it from Sacramento. For everyone else though I would recommend grabbing a hotel in Murphys and making a weekend out of it. 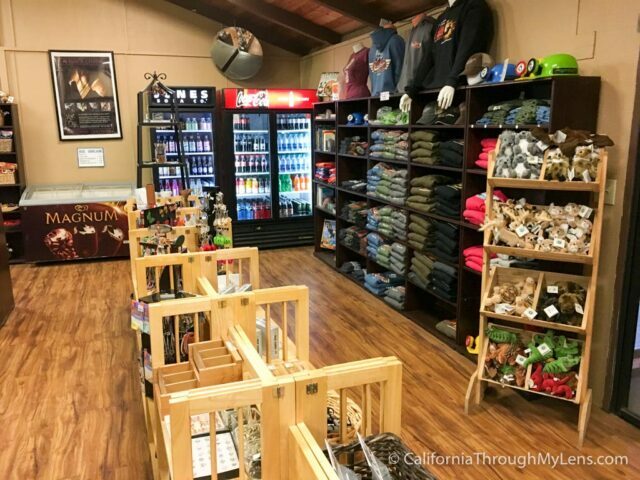 The cavern itself is located a few miles off the major highway at the end of a two lane road. There is a dirt parking lot there with a lot of spots. After arriving you will check in at the small store and get your tickets for the rappel or the zip line or both. I ended up doing both as I wanted to experience the zip line as well. 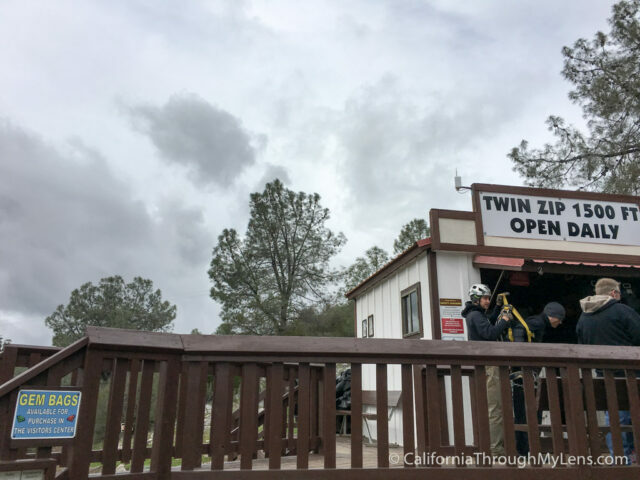 If you do both then you should do the zip line first as that way the experiences will get more intense as you go from the zip line to the rappel. 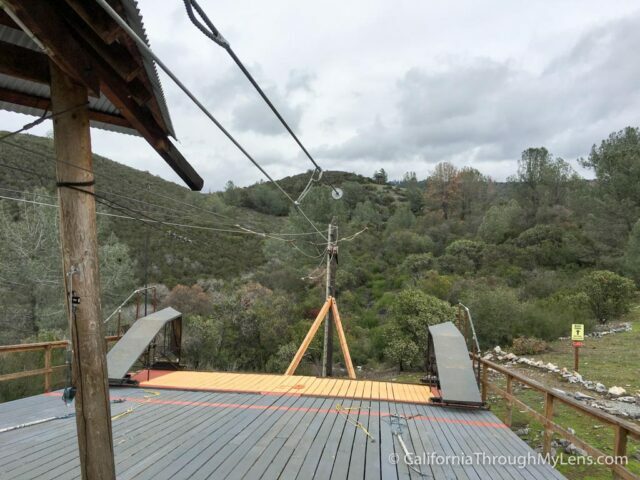 The zip line is 1,500 feet long and you go up to 30 MPH on it. It has two lines right next to each other so you can race a friend if you feel competitive. I had a blast on the line as you go really fast and the guys running it were fun and professional. Even the drive up to the zip line in the four wheel drive vehicle was fun. 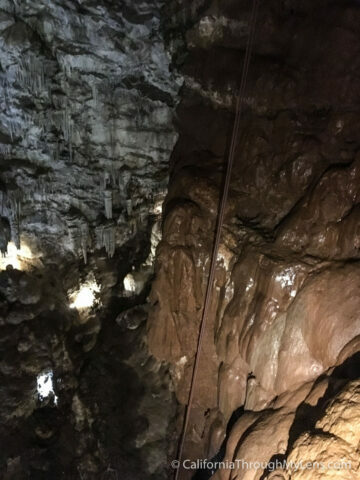 After completing the zip line I headed back into the main area and checked in for the cave rappel. After a safety video and about 15 minutes of Q & A and instruction we were donning our gear and getting ready to start the rappel. I went first as I am afraid of heights so I didn’t want to give myself a chance to back out. Once hooked up you start to back yourself down into the opening. The system they have for rappelling is very easy to use and makes you feel really safe while doing it. I won’t say this isn’t terrifying cause it is, but I always felt in control of my movement and safe in the harness. After the first 30 feet you land on a platform and this is the last turn around point if you decide you don’t want to continue. From here the only way off is to get to the bottom. 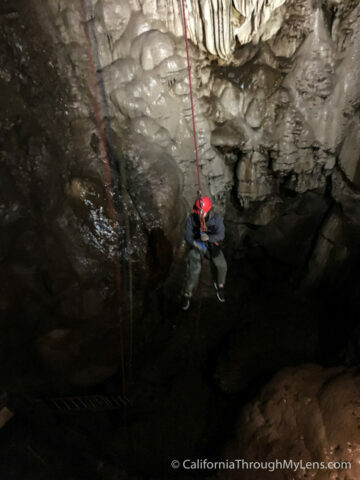 After committing to the rappel you will descend vertically through a small shaft that I couldn’t even put my knees up to my chest in since it was so small. As a 250 pound man though I fit through no problem. 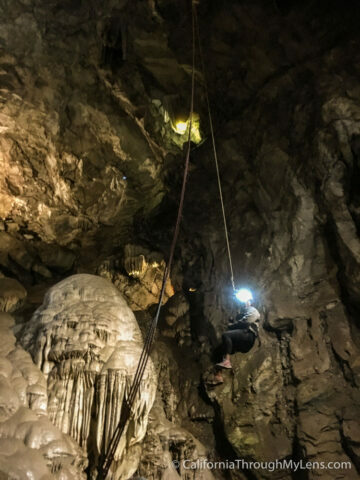 When you get out the bottom of the hole you are in the cavern itself and it is wide and incredibly tall. 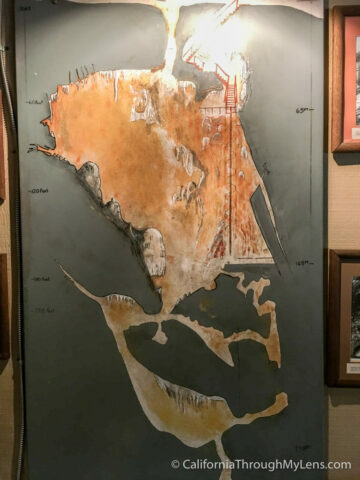 The cavern can fit the entire Statue of Liberty in it if that gives you a sense of how crazy it is. 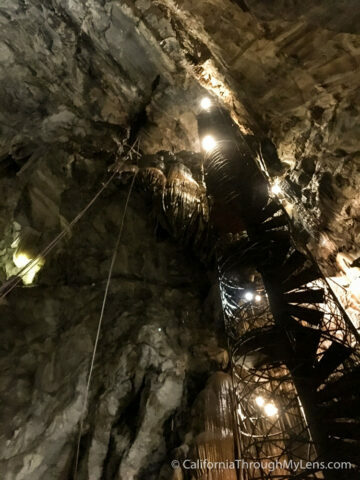 You can see all the way to the bottom, 160 feet below you from here. The next section is free and there is no wall to hold on to for about 30 feet. This is were people were taking pictures of me as they were just descending via walking. After that portion you meet up with the wall again for another 30 or so feet and then you are away from the wall for the next 90 feet to the bottom. I can’t explain to you how crazy this really is. 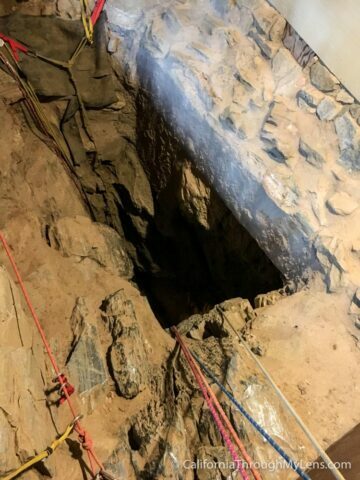 Yes, it always feels safe, but when you come out of the hole and into the cavern itself I can’t imagine anyone not wondering what they got themselves into. I will say that this is one of the craziest /most fun things I have ever done in California though and it is easily worth the price. 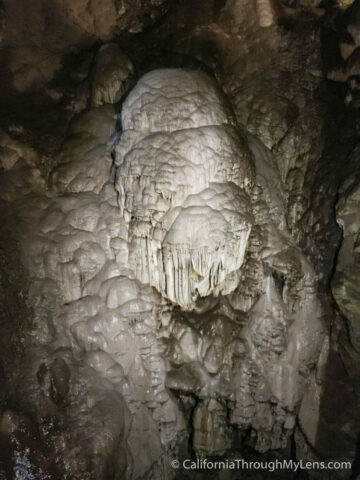 When you get to the bottom you will be pulled in by another guide and then will be able to stay for a little and listen to the guide if there is a walking tour happening, or you can make you way back up the stairs and look at all the unique formations on the way up. 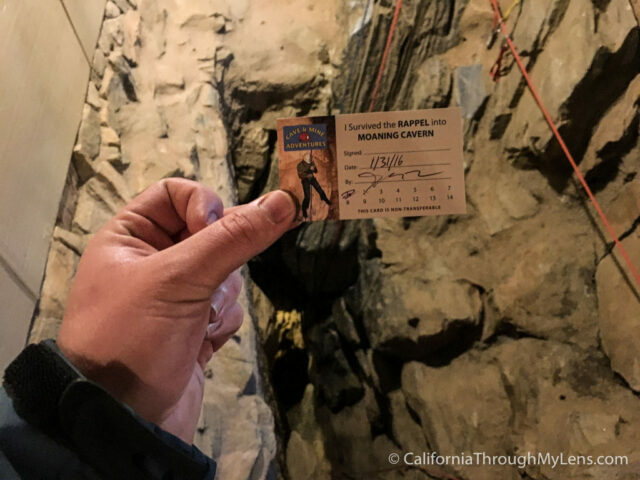 When you get to the top they give you a card showing you survived and giving you a discount for future visits. I was on cloud 9 when I finished this and even more so when I walked up the stairs and saw what I had accomplished. It was an epic achievement and one that I highly recommend you try if you are into this type of adventure. Let me know what your thoughts are if you have done it in the comments. Disclosure: This experience was provided to me free of charge, all opinions are my own though.